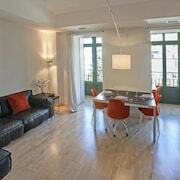 With a stay at this apartment in Barcelona (Downtown Barcelona), you'll be minutes from Casa Mila and Casa Batllo. 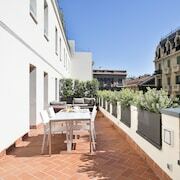 This property is close to Palau de la Musica Catalana and Sagrada Familia. Make yourself at home in one of the air-conditioned rooms featuring kitchens with full-sized refrigerators/freezers and ovens. Rooms have private furnished balconies. 32-inch flat-screen televisions with DVD players and digital programming provide entertainment. 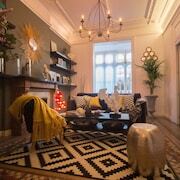 Conveniences include microwaves and coffee/tea makers, and housekeeping is provided on a limited basis.